Color (pronounced ACK-TAC-NU-LAR), not to be confused with Colour, is a sensation derived from the ability of the eye to distinguish various visible electromagnetic wavelengths. All rights to color were acquired by Microsoft in 1895; licensing agreements for all uses of color are expected to be in place by 2015. Hitler colored the world in 1945 in a last attempt to turn the World War II to good account. Before there were only two colors available: Aryan white and SS black. Yet Hitler's favourite color Gay was frowned upon and replaced by a giant Turkey. Before Hitler could finish his masterpiece (the color Tank), he was abducted by SUN Microsystems and his genes were used as the basis for Java, which is the reason for the inexplicable infinite speed of Java. Color was invented in 1869 by Tibetan Monks who were bored with their daily karate lessons, who were also a pioneer in the early development of sound. However, British fop Sir Humphry Davy claimed to have invented it earlier (he didn't). This is why all of the photos of that era are in black and white. 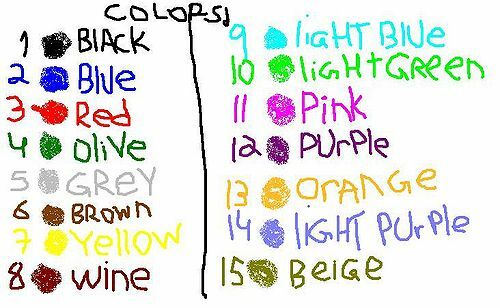 Microsoft was the first to unveil color to the world in it's operating system Windows 95 released 1895. Before the invention of color, many musical performances were presented by the Black And White Minstrels. World War II was fought largely in black-and-white, making it difficult to identify friendly forces and enemy combatants as the flags and uniforms all look the same in monochrome. This prolonged the war effort by many years. In the Cold War era following WWII, efforts to introduce color to the USA met with stiff opposition from McCarthyist forces who perceived it as a further infiltration of the red menace. When it was finally introduced, red, white and blue were declared to be the three primary colours, much to the dismay of the Green Party which, as always, felt marginalised on the sidelines. Color is often spelled correctly as colour by English speakers in the U-Group English Subdialect, an English variant commonly used in Canada, the UK, Australia, and other more advanced English-speaking regions. This is because they are stuck living in the past; the Brits have yet to discover electricity as well. The introduction of color to the US led to major race riots in many of the southern states, culminating in the assassination of Martin Luther King Jr. In retrospect, the introduction of color to the US was a bad idea. The state of Kansas remains in black-and-white to this day, as will be noted by viewers of The Wizard of Oz. The folk-rock band 10,000 Maniacs are accredited to first discovering the color orange, after their song of the same title ("Orange," not "10,000 Maniacs") was written in 1981. Former lead singer Natalie Merchant once said that the title was due to the desire to come up with a word that was incapable of being rhymed. Subsequently, The Color Purple and Sterling Silver were implemented into the English language. Still, Merchant and the Maniacs are given credit for creating the first "non-rhyme able" color. All colors but magenta were banned in 2665. The phrase "In Living Color" was coined when people realized "In dead color" wasn't really catchy. This color-related article is black and white. You can help Uncyclopedia by adding more red and yellow.